Don't hold your breath waiting for your tax refund. The nation didn't go over the fiscal cliff, but tax refunds remain up in the air. Congress' late action on the fiscal cliff tax provisions has caused headaches for the Internal Revenue Service, which now has to program its systems and issue tax forms based on the revised laws. It has not announced when taxpayers can start filing their 2012 returns, which means refunds will most likely be delayed. Filing usually begins in mid-January. "The IRS is currently reviewing the details of this week's tax legislation and assessing what impact it will have on this year's filing season," said the agency, adding it will issue additional guidance "soon." It's not the first time the IRS has had to deal with this. Two years ago, it took until mid-December for President Obama and lawmakers to reach an agreement on many of the same issues. That delayed the opening of the tax season to mid-February, affecting some 9 million taxpayers that year. This year, the situation is even more complicated since Congress didn't act until New Year's Day. 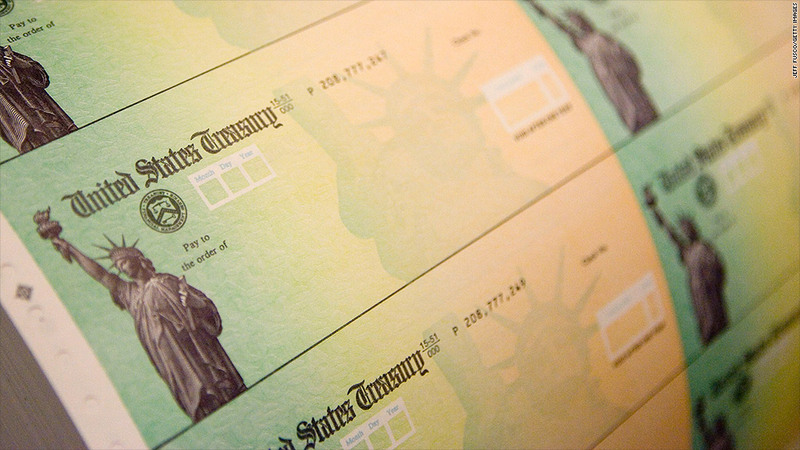 While the IRS has published Form 1040 for 2012, several lines are listed as "reserved." The designation is a "placeholder" for several fiscal cliff provisions, an agency spokesman said. The IRS has yet to publish an instruction booklet for filling out the tax forms, leaving tax preparers in a holding pattern. Most of the people looking to file returns early are hoping to get their refunds quickly to pay expenses or cover Christmas bills, accountants said. They are often people whose income is just from wages and who take the standard deduction, making their returns fairly simple. Many are low-income families who file for the earned income tax credit.